This Saturday, June 23, will mark the 8th Annual Chum Rhubarb Festival in Duluth, Minnesota. From 9 am to 4 pm enjoy games, crafts, musical performances, silent auctions, and of course delicious rhubarb delicacies. Food booths around the festival will showcase all the different–and tasty!–ways to utilize rhubarb, including rhubarb lemonade, rhubarb brats and burritos, and various pastries and pies. Gardeners will be available to answer questions about growing rhubarb and to judge contests. Families will enjoy food and activities as well as learn new ways of preparing rhubarb. Kim Ode, author of Rhubarb Renaissance, will be featured in an onstage cooking demonstration starting at noon, teaching guests how to make Confetti Salad. Before and after the demonstration, Ode will be selling and signing her book. 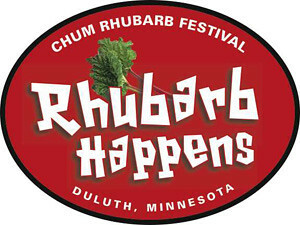 Admission is free for the festival, so make the trip to Duluth this weekend for the 8th Annual Chum Rhubarb Festival! Minnesota Museums Month is a statewide celebration of museums, their stories, and their communities. This May, visit a new museum in your community, take a road trip, or return to one of your favorites that you haven’t seen in a while. Museums of every type—art, historical, science, arboretums, zoos, and more—are participating. The Minnesota History Center is one of approximately six hundred museums in the state! 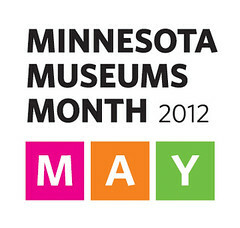 Check out www.museumsmonth.org as well as their Facebook and Twitter feeds for more information and events. Our new book Building Museums: A Handbook for Small and Midsize Organizations by Robert Herskovitz, David Grabitske, and Timothy Glines was released earlier this year. If you are attending the AAM meeting, please stop by the Minnesota Historical Society Press booth to check it out! 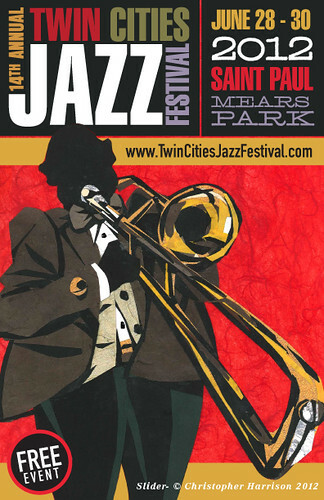 See you out and about at Minnesota museums next month! Looking for something stunning to fill that empty wall space, a unique piece of jewelry for a friend, a one-of-a-kind piece of furniture? 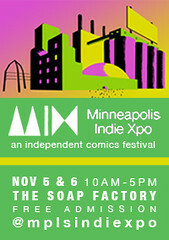 Then head on over to the 14th Annual MCAD (Minneapolis College of Art & Design) Art Sale this weekend. Thousands of original pieces by MCAD students and recent graduates will be on sale, including everything from paintings, prints, and photographs to sculpture, furniture, toys, clothing, jewelry, accessories, and more. Some of the filmmaking, animation, and multimedia students sell DVDs of their work, too. Artists receive most of the proceeds from the sale of their art. The opening reception is 6 to 9 Thursday night ($150), and Friday evening the sale is on from 6 to 9 for $20 in advance and $25 at the door. Admission is free on Saturday from 9 am to 5 pm. 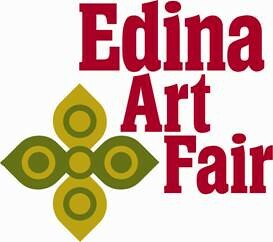 To view some of the artwork in this year’s show, visit the sale’s Facebook page. 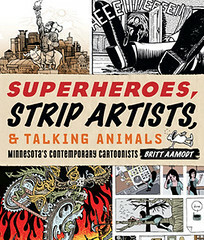 Check out their lineup of exhibitors, including Danno Klonowski, Zander and Kevin Cannon, Reynold Kissling, Bob Lipski, Brittney Sabo, Barbara Schulz, Tim Sievert, Andy Singer, and Steven Stwalley, a few of the many talented artists featured in Superheroes, Strip Artists, & Talking Animals by Britt Aamodt. 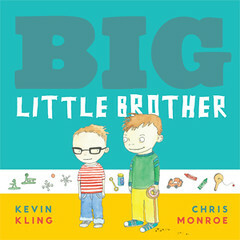 Chris Monroe, illustrator of the new children’s book by Kevin Kling, Big Little Brother, will also be there, displaying her Violet Days comic. Check out an interview with Chris over on the Minnesota Reads blog to find out what fictional character she had a crush on and her favorite book as a kid. Are you one of those who just can’t get your fill of books? Do you like to meet the people behind the scenes? 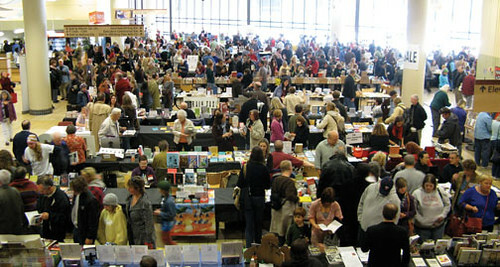 This Saturday, the Eleventh Annual Twin Cities Book Festival celebrates the books, magazines, authors, readers, and even publishers that make up our cities’ vibrant community of the word. 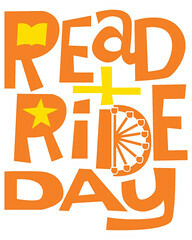 Organized by Rain Taxi Review of Books, this event is free and open to the public. Press authors Patricia Hampl (St. Paul Stories of F. Scott Fitzgerald, Tell Me True), Pete Hautman and John Coy (Libraries of Minnesota), Wing Young Huie (Frogtown, The University Avenue Project), N. M. Kelby (A Travel Guide for Reckless Hearts), and Brett Laidlaw (Trout Caviar: Recipes from a Northern Forager) join scores of others to talk about their works and give tips on writing. A full day of programming at the Children’s Pavilion (get them started right! ), includes a yo-yo master and Bruce the Bug Guy. The complete schedule is here. 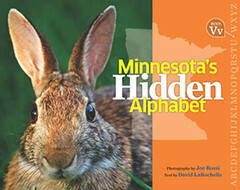 Stop by the Minnesota Historical Society Press table, where Press staffer Leslie Rask will be showing off our newest books and two Press authors will sign: Wing Young Huie at 1:30 and Brett Laidlaw at 2:00. See you there!